The 2012 U.S. Go Congress is running a special registration promotion from now until July 15th. If you register and pay your bill by July 7th, you will receive your choice of either one hour of private game review and/or a lesson with a pro, or a Congress certificate for one book of your choice from Slate and Shell (up to $30 dollars in value). Each registrant should also send an email to the registrar at arlene@gocongress12.org indicating they are using the promotion and what reward they are choosing. And don’t forget to check out the exciting trailer for “The Surrounding Game” documentary that will be filming at Black Mountain as well! “Thanks again, and hope to see you soon at the Congress!” say Co-Directors Peter Armenia and Paul Celmer. NOTE: this offer good only for those who registered after 7/1/2012. Go junkies rejoice: Baduk TV is now available on your smart phone. 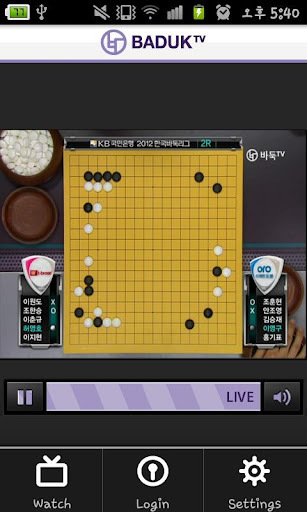 That’s right, you can now watch the same program Korean baduk (the Korean word for go) players watch 24 hours a day. The free Baduk TV app is available in Apple’s App Store and Google Play. Though currently only available in Korean, Myungwan Kim 9P says there may be an English translation version of the program available as early as the end of this year. “Many Korean go players first met go through Baduk TV,” says Kim, “The biggest reason prize money in Korean tournament has been rising for the last 10 years or so is because Baduk TV created so many fans and attracted commercial sponsors. I think it could make a huge difference to the go community here, as well.” For now, the service is free, though Kim says that may change later this year, and the rates will depend on how many users there are. 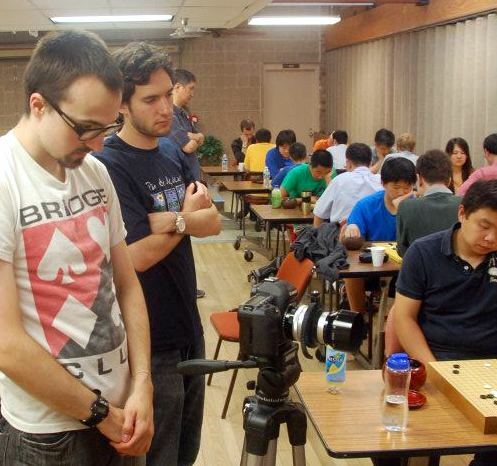 Jeff Horn 1D won the Upper Division of the Davis/Sacramento Go Club’s Summer Quarterly Tournament, held at the Arcade Library in Sacramento on June 23. The Lower Division winner was Jeff Murphy, 4k. Both had 2 wins. 3k seeks other players in Marquette, MI; will be visiting July 5- 20. Reply to roylaird@gmail.com. I hope to see you this summer! 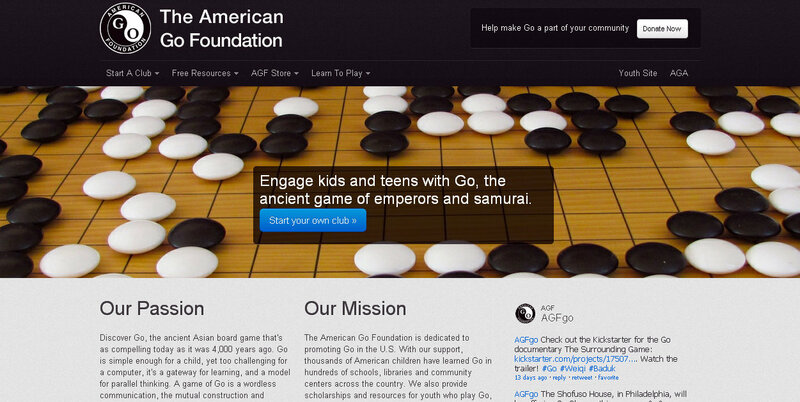 The American Go Foundation (AGF) launched its new website on Friday, June 22. “This is a complete redesign and makeover of the site,” says AGF Vice President Paul Barchilon, who led the project. “We want to make it easy for any teacher, librarian or enthusiast to start a club in their community. We also want everyone to know about all our different services — our newsletter; matching grants that help new programs get up to $400 worth of equipment; our free Starter Sets; Tigersmouth, our moderated online hangout for young players ; free Hikaru No Go manga for public libraries; fiscal agency; and more.” Barchilon began working with web designer Lee Gentry in January, aiming to go live in time for the AGF’s tabling of The American Library Association’s annual convention. “More than 20,000 librarians attended ALA last weekend, and we hope many of them will look at the site and realize how valuable, and easy, a go program can be.” Barchilon is looking for feedback from users. “Any new rollout has bugs, typos, omissions, etc. Please tell us what’s wrong by using this brief survey form. 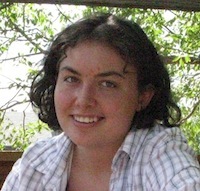 We want the site to be perfect.” The AGF receives no foundation or government support and relies solely on donations. Four years ago, when Walters retired, he decided to use some of his newfound freedom to start a go program at his grandson’s elementary school. Before long, about 150 of the school’s 400 students were involved – ironically, his grandson was not among them. Starting with brief presentations during recess, the program soon moved to the lunchroom. “Most of the kids were finishing lunch in 15 minutes or so. The cafeteria doubles as the auditorium, so we set up go equipment on the stage. Being so visible, other kids wanted to play, and so it grew.” Each participant gets an index card marked with a Pokemon character of their choice, to record contact info, game results and so on. Setting up the program, Walters relied heavily on the Assistant Principal, who last year became principal of a nearby school. Walters expanded his activities to that school, teaching and operating the program two days a week during lunch at each site. “The noise in the lunchroom makes it hard to teach, but we can’t meet privately because students cannot be alone; a teacher must be physically present at all times,” Walters said. 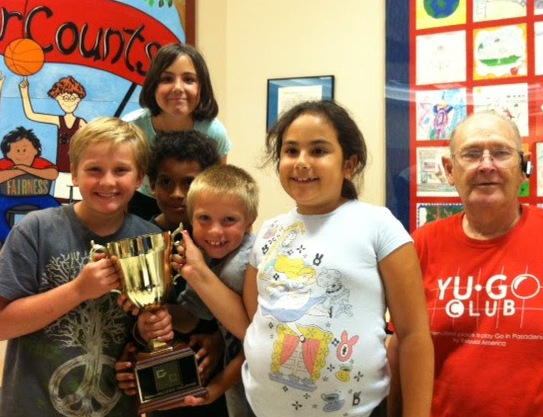 The principals of the two schools are good friends and maintain a friendly rivalry between their schools, so when Walters proposed an intramural tournament last year, they jumped at the chance and even provided a traveling trophy. Four players from each lunchtime group – first/second grade, third/fourth and fifth/sixth – met in a two-round playoff last year, but a few no-shows marred the result. This year, all interested players will participate. Walters ran the event with the help of local players Jeff McClellan and Reese. This year they will offer lessons to the parents, ending with parent-child games for all who will participate. Next, Walters hopes to teach participants in a local senior center and perhaps arrange for some of his students to meet and play with the seniors. 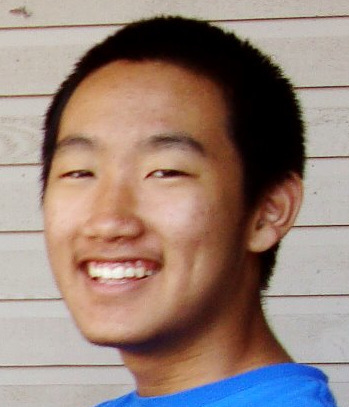 He also enjoys teaching beginners on KGS and can often be found in the Beginner’s Room as “Jodageezer”. “Go is such a great way to connect all different kinds of people,” he says. As Barack Obama and Mitt Romney vie for the Presidency and the major parties battle for control of Congress this year, another election has thus far escaped the media’s attention. Four of the American Go Association’s seven Board directors are up for election this year, with a full slate of candidates contesting for the seats on the Board. In the Eastern region, running for the seat currently held by Chuck Robbins, three are running: Gurujeet Khalsa, Feng Yun and Thomas Hsiang. Bob Barber is challenging incumbent Central region director Lisa Scott, and Chris Kirschner, Jeff Horn and Steven Burrall are competing for the Western seat currently held by Andrew Okun, who was recently appointed President of the AGA. In the At-Large election, Zhiyuan [Edward] Zhang and Chuck Robbins, the current Eastern region director, are challenging incumbent Jie Li. All terms are for two years. AGA chapters with two or more members can vote for the candidates in their region, while all full AGA members may vote for the At-Large candidate of their choice. Ballots will be emailed to all eligible voters by July 1, and the results will be tallied and announced at the US Go Congress in Black Mountain, NC, during the first week of August. Click here for complete voting instructions and candidate statements, if available.